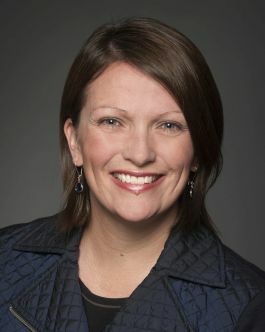 Jennifer Bond holds degrees in law, literature, and business and has been called to the Bars of Ontario and British Columbia. She completed her graduate work at the Yale Law School as a John Peters Humphrey Fellow in International Human Rights Law and clerked at the Alberta Court of Appeal and the Supreme Court of Canada. She is currently serving as Chair of the Global Refugee Sponsorship Initiative and is Founder and Managing Director of the University of Ottawa Refugee Hub. In 2015/16, Professor Bond served on a full-time basis as Special Advisor to Canada’s Minister of Immigration, Refugees, and Citizenship on Canada’s Syrian Refugee Initiative, a project which engaged over two million Canadians and brought over 40,000 refugees to Canada in under four months. Professor Bond has also provided strategic advice to Canada’s Ambassador to the United Nations and the United Nations Refugee Agency (UNHCR); completed research projects for the Commonwealth Secretariat and the International Women’s Rights Project; and made submissions before the Supreme Court of Canada. She co-founded each of the Refugee Hub’s flagship initiatives, including: the Global Refugee Sponsorship Initiative, a partnership that promotes and supports the adoption of community sponsorship programs all over the world; the Refugee Sponsorship Support Program, a national project that mobilizes pro-bono legal support for private sponsorship groups in Canada; the University of Ottawa Refugee Assistance Project, a multi-year, national initiative aimed at mitigating and researching access to justice implications of Canada’s refugee legislation; and the Refugee Law Research Team (RLRT), which engages in appellate-level public interest litigation. She also sat on the founding national executive of the Canadian Association of Refugee Lawyers (CARL). Professor Bond has previously managed a grass-roots NGO supporting at-risk youth; worked as a strategic analyst at a leading consulting agency; practiced law at a major Canadian firm; and served with the UNHCR in Damascus, Syria. She has provided expert commentary for over 50 national and international media stories, and has delivered workshops and presentations in over 15 countries. Professor Bond’s current primary research projects explore, respectively: models for directly engaging private actors in international refugee resettlement; the use of criminal law to deny refugee protection; and access to justice issues relating to the use of evidence in refugee status determination processes. Some of Professor Bond’s other work discusses the constitutional implications of underfunding Canada’s criminal legal aid system; the limitations of duress as a defence in both refugee proceedings and international criminal law; the link between gender and the responsibility to protect; and the failure of a mechanism designed to ensure legislative compliance with Canada’s human rights instruments. Professor Bond was recently awarded the International Commission of Jurist’s prestigious Tarnopolsky Award and appointed to the Order of Ontario for her national and international contributions to refugee protection.